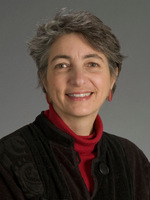 Congratulations to our own Master of Public Health in Community-Oriented Public Health Practice (COPHP) Program Director Amy Hagopian​, PhD, MHA, Associate Professor of Health Services and Global Health at the University of Washington School of Public Health​, who is receiving the 2018 American Public Health Association​ (APHA) Victor Sidel and Barry Levy Award for Peace for her "enduring passion for advocacy, for her leadership and for mentoring colleagues and students around the prevention of war and the promotion of peace around the world." We could not be prouder! The awards will be presented Nov. 13 during APHA’s 2018 Annual Meeting and Expo in San Diego. If you are attending the annual meeting, please join us to recognize Amy! Read more about this year's awardees of APHA's prestigious national awards here.